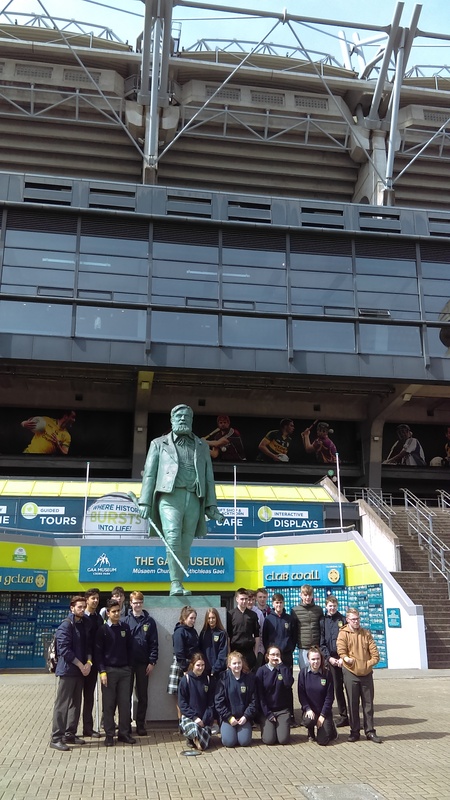 The TYs, as part of their History Module, went on a field trip to historic Dublin. 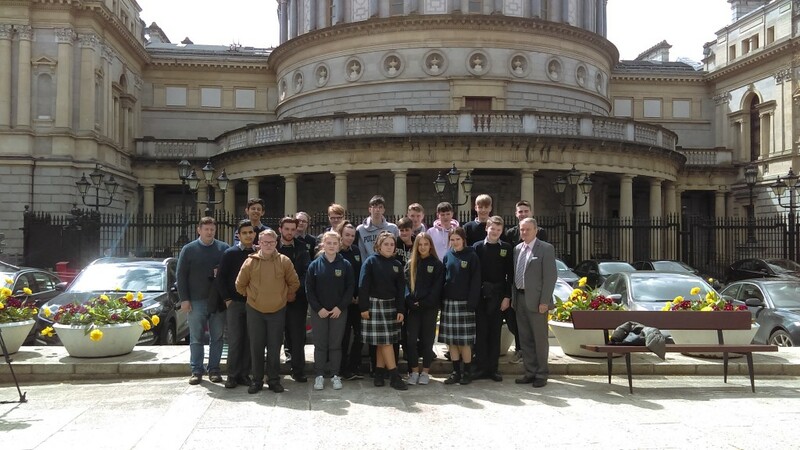 As guests of Mr. Brian Stanley TD, they first visited Dáil Éireann. They were brought on a tour of the building, first going to the Dáil chamber and then the Seanad. Following refreshments provided by Mr. Stanley, they returned to to the Dail chamber for ‘Leader’s Questions’ where the Tánaiste Simon Coveney was standing in for the Taoiseach and they got to hear the TDs debating the latest issues. Afterwards there was a photo opportunity and a Q&A with the local TD outside on the plinth. 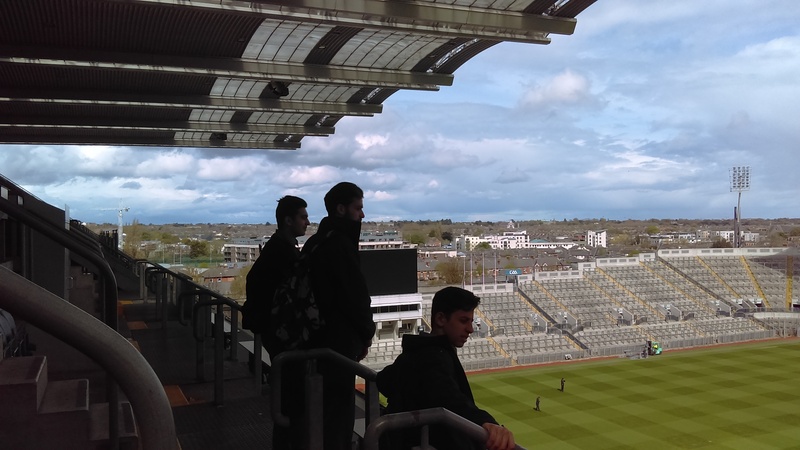 That afternoon, the TYs were on a tour of Croke Park. Ranked as one of the best things to do in Dublin, some of the highlights included taking a seat in the VIP area, (sitting on the President’s seat!) 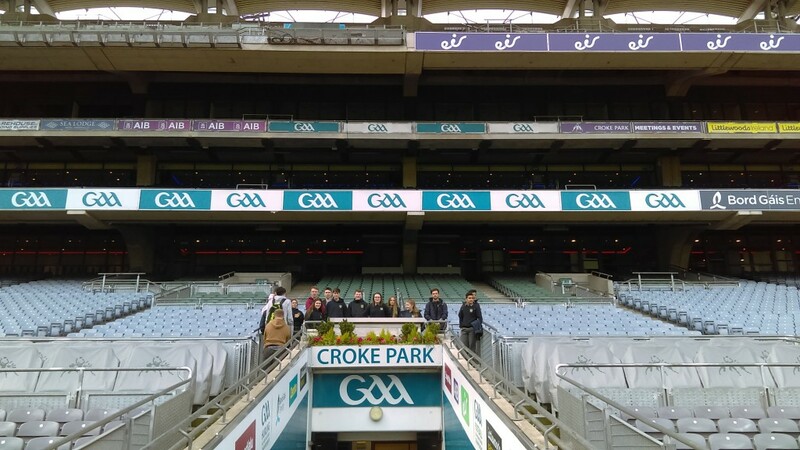 getting a birds-eye view from the media centre, sneaking a peek inside the dressing rooms, and of course, walking in the footsteps of gaelic games legends as they went pitchside through the very loud players’ tunnel!